For over 25 years FEROFORM F3637 high temperature insulation bearing pads have been the industry standard providing maintenance free performance in bitumen and asphalt tankers. 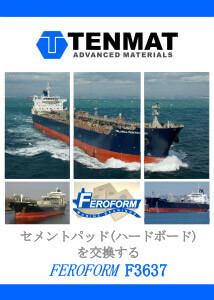 TENMAT have supplied long lasting FEROFORM F3637 high temperature, high load bearing insulation pads worldwide for over 25 years. These high performance pads are used on vessels approved by the major marine classification societies and are recognized as the best solution in the market place. 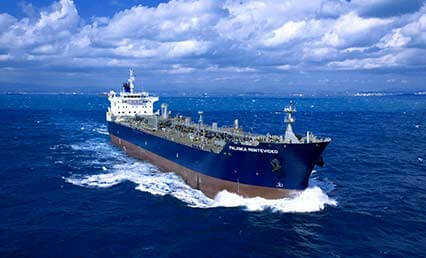 FEROFORM F3637 pads are exclusively specified on over 75 vessels up to 37,000 tonne vessels. FEROFORM F3637 pads are easy to install and are manufactured to suit customer requirements, thus making FEROFORM F3637 the optimum choice for new build projects. With typically up to 4 times the load bearing capacity of competitor systems and with a low, controlled coefficient of friction, FEROFORM F3637 is the leading material for this demanding application and is maintenance free. 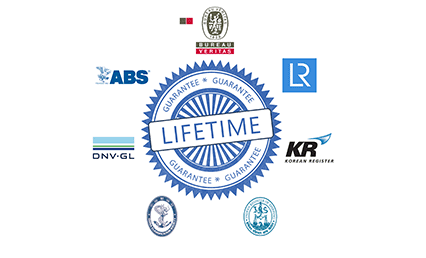 Thus leading ship owners continually place their trust in TENMAT to solve challenging applications.